Fordham pushed that Warren was Harvard's first woman of color due to her Native American heritage. This is indefensible, but the liberal media decided to take the 1/1024th fraction as full-blown proof that Warren was telling the truth and not peddling a racial hoax, which is what it looks like. The Media Research Center’s NewsBusters wing had a field day, noting how major networks, contributors, and guests across the liberal media spectrum did their best to defend a white person of cultural appropriation. I think it’s a complicated answer. I think that it wasn’t fully a smooth rollout of the DNA testing and the video, and it put to bed a lot of the controversy. Obviously it was because President Trump had said he was going to give a million dollars to a charity if she could prove, using a DNA test, that she was part native. She did that. He’s not giving the money to the charity. He also denied saying that. So it sort of puts him on the defensive in some ways. …she was only 1/1,024th Native American. Despite that fact, the liberal broadcast networks (ABC, CBS, and NBC) promoted her campaign message and portrayed her as the victor. On NBC Nightly News, they were eager to prove that it was somehow a terrible day to be President Trump. “Now to Senator Elizabeth Warren doing something unprecedented after years of ridicule from President Trump and Republicans over her claims of Native American ancestry,” declared anchor Lester Holt. NBC White House correspondent Kristen Welker touted how Warren supposedly “calling his bluff” with her announcement. “Warren firing back, tweeting President Trump is attacking her because he's scared, as she looks ahead to her next political chapter,” Welker gushed after spending her entire report making it sound as though Trump was on the defensive. Besides bringing back the ridiculous claim that calling Senator Warren “Pocahontas” was a “racial slur,” ABC kept harping on a bet Trump made at a rally for her to prove her heritage. “President Trump, who calls her ‘Pocahontas’, has suggested he would pay $1 million to a charity if she took a DNA test to prove her heritage. Tonight, she says it’s time to pay up,” proclaimed sensationalist anchor David Muir during World News Tonight. 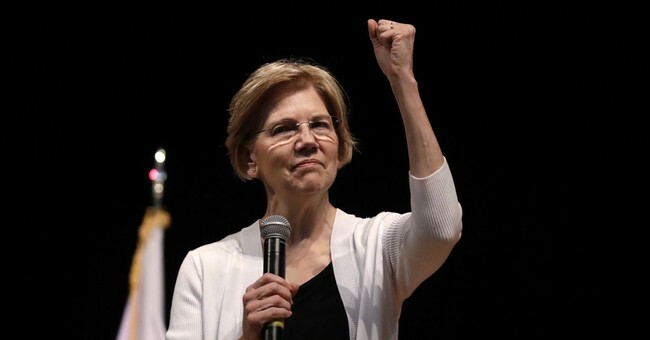 According to a New York Times report form 2014: “The researchers found that European-Americans had genomes that were on average 98.6 percent European, .19 percent African, and .18 Native American.” Warren had as low as .098 percent Native American DNA or about half the average. The networks were so disgustingly in the tank for Senator Warren that all three ignoredthe scathing rebuke by the Cherokee Nation. Curious as to how clueless is The New York Times? Mara Gay — a member of the Gray Lady's editorial board— claimed on Ari Melber's MSNBC show Monday night that President Trump's mocking of Elizabeth Warren's phony claim to be a Native American "was actually about white anxieties among Donald Trump's base about who's white in America." WALSH: — she’s putting it out there. WALSH: She’s been accused of having none and she’s proving she had some. Yeah, this is why lines like “her or his truth” are flat out stupid. There is only one truth, and that is Tomahawk Liz is no Indian. Liberal America can’t defend her. If they do, they look like morons, which is also just a day that ends in “Y” in that respect. The Times appears to have come around on this nonsense, admitting defeat, but it’s funny how the Left rails against the horror of cultural appropriation but is now totally behind a white person peddling a racial hoax for political gain. As the saying goes, if liberals didn’t dabble in double standards they would have none.